In 1995, NZSFW opened with 3 cookery students and a dream. 2015 marks our 20th year which fills me with enormous satisfaction. From this fledgling start, we have grown and flourished, rolled with challenges from financial uncertainty to NZQA pedantry, fought back and shaken off the unpredicted consequences of earthquakes and built this new, fabulous school in Auckland. Again, it makes me very happy to think of the thousands of food and wine enthusiasts who have crossed our doorstep whether as a full time NZQA student or just to gain new ideas for cooking at home, wine knowledge for personal pleasure or how to set up a hospo business. On Sunday 29 March we will celebrate our 20 years with a Long Lunch and an informal gathering of our friends and past students. At our 10th Anniversary, Professor Don Beaven lead an outstanding Krug Tasting. 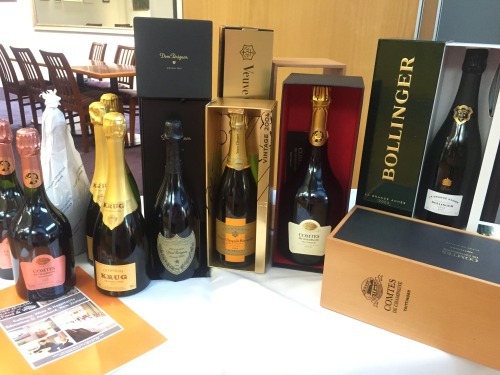 This time, we will start at 11am with a tasting of 6 Vintage Champagnes to be followed by lunch. I always feel that Christmas provides an important pause to allow time to reflect and give thanks for the year that has past. For me, I will head south with my sons, Oliver and Daniel, both settled into engineering degrees at Auckland University while keeping their night jobs as tech support and barista tutor at NZSFW, to walk the Kepler Track on the edges of Lake Te Anau. We will then join my daughter Alice and mother-in-law June at our beloved Pigeon Bay for Christmas.